The only problem with sweeping your opponent in a playoff series is the time you may have to wait to face your next opponent. While rest is a good thing for basketball players, so is rhythm, momentum, and being in sync with your teammates. When you rest too long, it is kind of hard to keep all those other things. After having more than a week pass since they last played, did the Cavaliers appear to be suffering any ill effects Monday night against the Toronto Raptors? Kyle Lowry put the Raptors on top early, 3-0, by making the first basket of the game but it was all downhill from there. Cleveland proceeded to outscore the Raptors 30-18 in the first quarter. Toronto played a better second quarter but was still down by 14 heading into halftime. Toronto managed to pull within seven early in the third quarter. 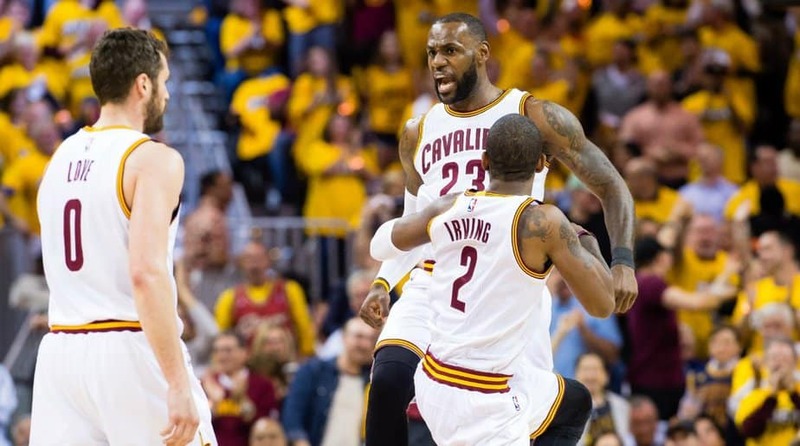 But by time the period was over, the Cavaliers expanded their lead to 23-points, 96-73. Cleveland let off the gas in the fourth quarter and allowed Toronto to close the gap and make the final look a little more respectable, 116-105. So, this is one of those games where the score is not indicative of how the game went. Toronto was never even a remote threat to take control of the game. 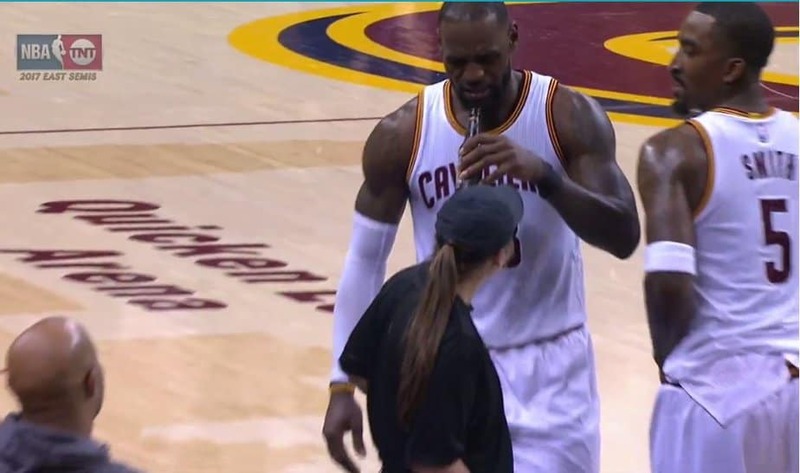 The game went so well for the Cavaliers that LeBron James even grabbed a beer from a vendor on the sideline after getting fouled during the third quarter. James ended the night with a double-double, 35 points and ten rebounds. Kyrie Irving had 24, and Kevin Love chipped in 18. While it may look like they played well, James thinks they may have had a little rust after the long layoff—but they’ll be good by Wednesday. “I feel like I’ll be a lot better on Wednesday,” James said following the game. “The eight days we had off, we weren’t able to get gameplay. So, a little bit of rhythm here, a little bit of conditioning, that will come back on Wednesday. If the Raptors are going to have a shot at winning Game Two, they will need Kyle Lowry and DeMar DeRozan to do much, much more than they did in Game One. The two combined to make 14 of 29 shots for 39 points—against a team that is supposed to have defensive issues. The Raptors are going to need the two of them to score closer to 60 points and will need Serge Ibaka to score at least 20—and still get some help from the rest of the roster in order to win a game. Yes, a game—the Raptors will be lucky to win one. Their offense is too inconsistent and their defense not good enough to stop the Cavaliers unless the Big Three all have an off night. Game Three will be Wednesday night at 7 PM ET on TNT.